Cambridge United have signed defender Michael Nelson on a free transfer following the mutual termination of his contract at Hibernian. The 34-year-old has signed a one-year contract with the League Two newcomers. Nelson featured in 39 matches for Hibernian, including two this season in the Scottish Championship. "We are delighted to have signed a player of Michael's pedigree and experience," said U's director of football Jez George. "He is an excellent character, with a lot of Football League games on his CV and he will be a really important addition to the squad." 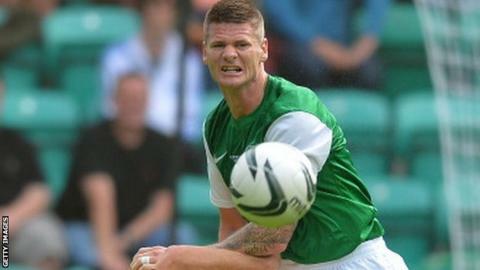 Nelson joined Hibs at the start of the 2013-14 season having previously had spells with Bury, Hartlepool, Norwich, Scunthorpe, Kilmarnock and Bradford.